Memorial Day is fast approaching and grills will be dusted off, fired up, and loaded with brats, dogs, and burgers. Here's a way to amp up the flavor of your cheeseburgers. This isn't a recipe post so much as just a general idea that I like to use when grilling cheeseburgers. I'll post it as a recipe just to give some basic proportions but the gist is this - instead of grilling a burger and then just slapping a piece of cheese on it, upgrade your cheese with a party of flavor. 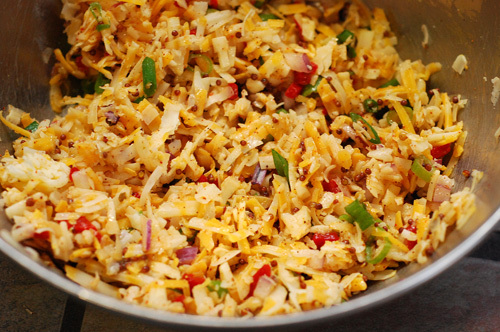 Mix up some shredded cheese with herbs, spices, and whatever add-ins you like. Preheat a charcoal grill to 450f (medium-high). 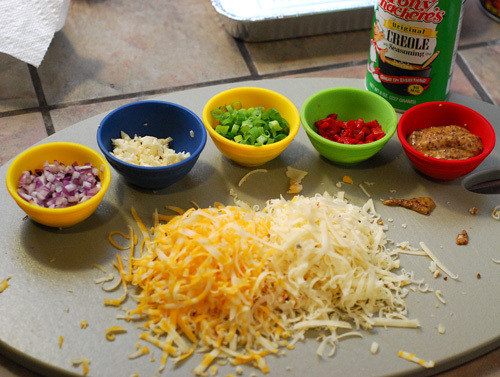 Toss the cheese mix ingredients in a bowl and mix thoroughly. 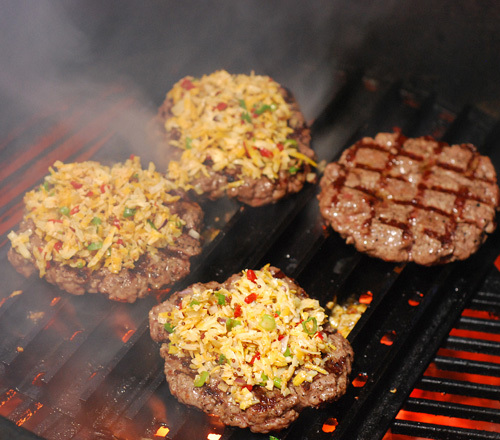 Grill the burgers for 4 minutes with the grill lid closed. 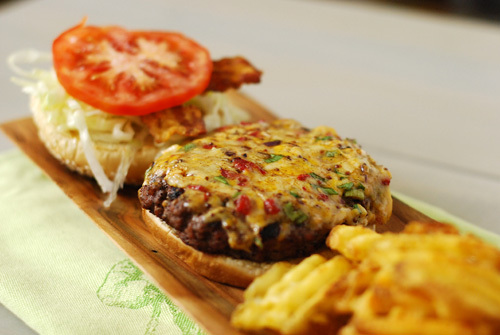 Flip and top the burgers with equal portions of the cheese mix. Grill another 4 minutes with the grill lid closed or until the cheese is melted and the burger is an internal temp of 165f. Remove and let rest for 5 minutes. Serve with toasted buns and your favorite burger toppings. I used lettuce, tomato and bacon. I used Tony Chachere's Creole Seasoning because it's what I had on hand. Again, just an idea. Throw whatever flavors you want into your cheese mix. No rules. This would also be a great stuffing for "Jucy Lucy" style stuffed cheeseburgers. Put the cheese on as soon as you flip so it has time to melt evenly. It's also important to keep the grill lid closed for reflective heat. 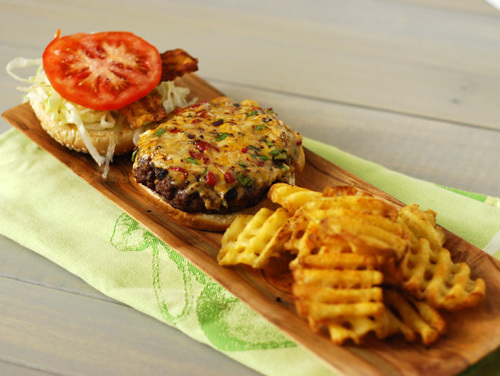 Not your ordinary cheeseburger and it's totally adaptable to your preferences.